Mental Mastery Blood Pressure BioFeedback? I took my blood pressure medicine, we drove to the store, and I quietly walked to the blood pressure machine. I sat there, quietly for a minute. Then, I thought of all the disturbing thoughts possible. Specifically, I tried to call up my white-coat syndrome feeling of dread at having to go to the doctor. When I felt that my mind was as disturbed as I could get it by thinking fearful and disturbing thoughts, I hit the green button on the blood pressure machine. Then, I slowly walked the store with my wife, doing a little shopping. 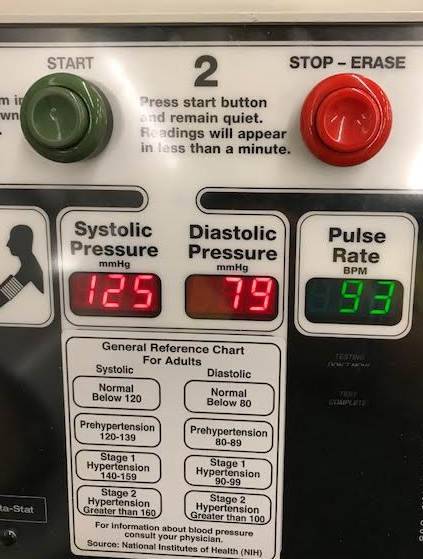 I returned to the same machine, during the same shopping trip, and I took my blood pressure again. I told my body to calm itself down. I imagined little robots right at the valves of my heart. These imagined bots regulated everything. I filled my noggin with serene, calming thoughts. 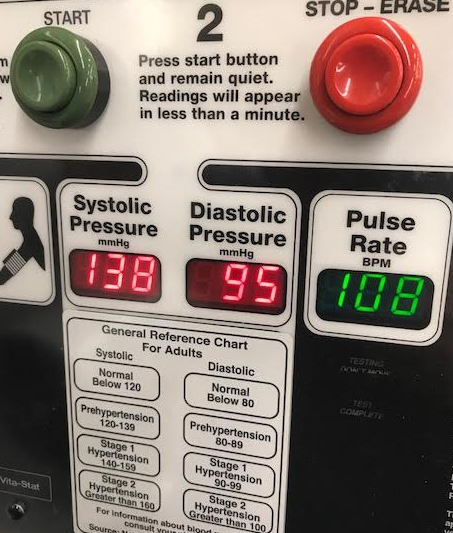 And yet again, I hit the start button on the blood pressure machine. To be fair, for the next four days, I have NOT been able to reproduce the results, but I was able to do it for 3 days in a row. It’s not as impressive as the first time, I tried the experiment, but there is definitely a difference. Try it, and let me know what happens.